Here we go again…another lawsuit centered on social media postings. I constantly warn folks about the perils of ranting online. Once something is in cyberspace, it’s nearly impossible to take it back. This latest story revolves around a frustrated employee venting about work. Again, an employee and their employer are caught up in a law suit involving a social media posting. A battle of free speech vs corporate policy. In February, Jayne Brill, a part-time financial assistant for a Virginia retirement community vented her disapproval of her work situation–online. Her Facebook posting was a jab directed at her coworkers. The company’s social media policy prohibited comments that might “embarrass the company.” Subsequently, she was asked to resign instead of being fired for violating the policy. She took the offer and resigned from her position. She accepted the offer and then sued the company. Her claim was that the policy was in violation of her First Amendment right to free speech. Further, The Glebe’s social media policy “constitutes an unlawful restraint” and interfered with her rights under the National Labor Relations Act. The Virginia Employment Commission was also named in the lawsuit because they denied her unemployment benefits. 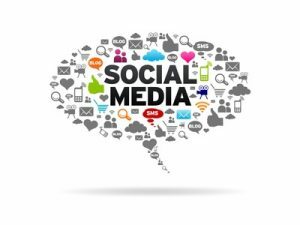 In a recent Robert Half survey of 200 lawyers from top law firms nationwide showed that social media litigation is surging. The results of this survey can’t come as a surprise. Even the President, Donald Trump, is being sued for blocking people from his Twitter feed. So, do employer’s social media policies illegally prevent employees from speaking out against workplace abuse, or are companies right in policing their employee’s social media content? Are there other venues for reporting employment abuse and unfairness? These are tricky questions that will ultimately be dealt with – one lawsuit at a time. Meanwhile, be very, very careful about what you choose to put out on social media. Not only could it get you terminated from your employment, but postings can come back to haunt and embarrass you. Like it or not, this is the world we currently live in. Information found on social media sites cam and are use against you in court and the interview process. Be smart. Be in control. Be safe. Know that what you say on the Internet stays on the Internet.